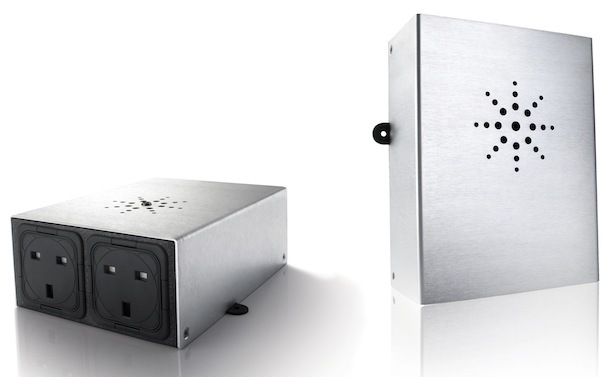 IsoTek announced the Super Titan, claiming the world's most powerful mains power conditioning unit for high-end audio systems. 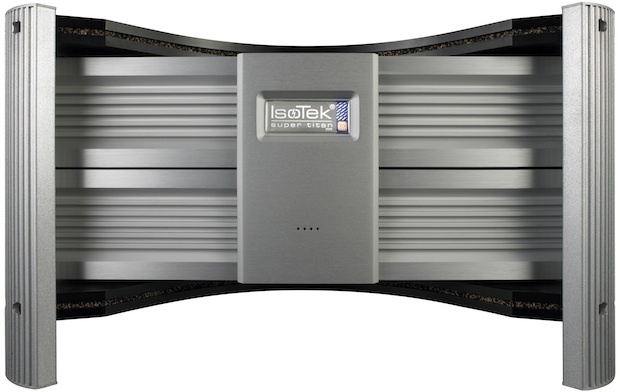 Building upon the design of the existing Titan, IsoTek's new flagship was inspired by the emergence of a new breed of super-powerful high-end amplifiers whose current demands set specific challenges that are not fully met by existing mains conditioning products. In the process, IsoTek has designed a power conditioner that outperforms all others currently available, both on paper and in practice. In the six years since its launch, the multi-award-winning Titan has built a reputation as the finest mains conditioner on the market, described by the critics at What Hi-Fi? Sound and Vision as “a revelation” and by those at Hi-Fi News as “the most impressive mains filter we've ever heard”. Its innovative technology, designed specifically for power amplification, forms an epoch-making partnership with the IsoTek Nova, which delivers the same exacting level of quality for source components and preamplifiers. While the Titan remains a critical component in IsoTek's product range, the arrival of Super Titan heralds the start of a new high-end range of power optimisation components called Ultra Reference. It takes the Titan blueprint and enhances every element of its design to deliver a new benchmark in the field of mains conditioning for high-performance audio and AV systems. 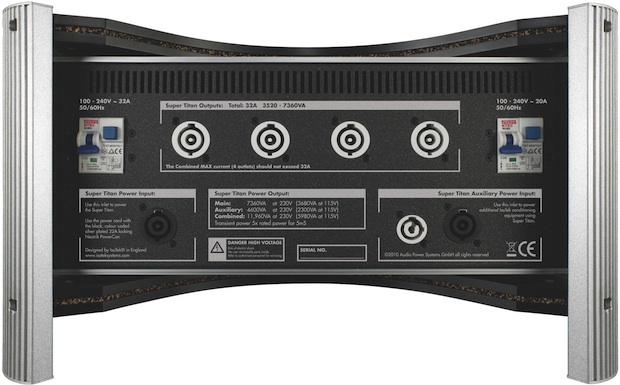 Like the existing Titan, the Super Titan is designed to meet the specific demands of high-end power amplifiers. However, in terms of its ability to deliver current, it is almost twice as powerful: while the Titan is capable of delivering 4,600W of continuous current, the Super Titan delivers 7,360W. With 35,500W of transient power on tap, Super Titan is quite simply the world's most powerful audiophile mains conditioner. The Super Titan's filtering capability is also double that of the Titan. It uses a group of four seven-stage filters in a series parallel combination (see diagram below). A simple comparison may be drawn to multiple-cylinder engines. The four sections combine to make one 'super' seven-element filter, which is inherently superior to engineering a single large filter. Mains noise can be broken down into two types. The first is differential noise, which is typically caused by switching — everything from a light switch to the switch-mode power supplies used in common domestic appliances. The second is common mode noise, which emanates from a point source, such as a radio transmitter. These noise types are complete opposites, yet they exist side by side and arrive in the home via live and neutral mains cables. The elimination of mains-borne noise is the primary purpose of any specialist power conditioner, but this is difficult to achieve without compromising an amplifier's transient performance. However, the Super Titan's filtering circuits remove both differential and common mode noise, improving sonic clarity and definition, without restricting transient ability. The filtering circuits comprise bespoke parts that cover an extremely wide frequency band, aided by specialised choke designs that assume the problem extends down to 5Hz. The Super Titan's filtering circuits are incorporated into IsoTek's unique Direct Coupled Design concept, originally developed for the Titan and further enhanced for Super Titan to ensure optimal high-current filtering. Put simply, if a test meter were connected to the Super Titan, the reading would be akin to a very low resistance piece of wire from input to output. Other manufacturers use isolation transformers as part of their mains conditioning solutions, but IsoTek's Direct Coupled Design eschews these devices because they break the cardinal rule of maintaining transient power. IsoTek's proprietary KERP technology secures a pure, symmetrical signal path through the unit, while the Polaris-X network reduces crosstalk and improves component-from-component isolation. 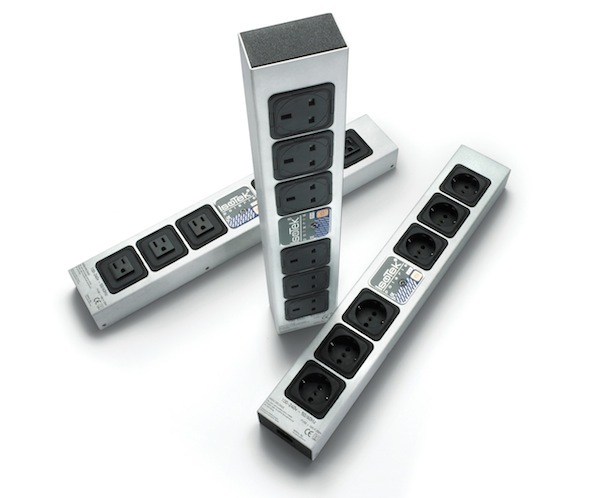 In addition, a massive 135,000 Amps of instantaneous and repeatable surge protection safeguards valuable audio equipment against spikes and surges in the mains supply — no other device on the market can match this level of protection. Fashioned from aluminium, Super Titan's rigid outer casing is cradled in a specially developed support structure called ISIS (Independent System Isolation Support). The main unit is point-clamped between two panels at the top and bottom, each of which is formed of a special resonance-damping material sandwiched between two ultra-dense Corean plates, with the overall structure supported by four substantial aluminium pillars. ISIS was developed in conjunction with Kurt Olbert, the founder of Clearlight Audio and an acknowledged expert in developing proprietary materials for audio applications. Its purpose is two-fold. First, it reduces the effect of airborne vibration and microphony, as well as subsonic vibration and resonance in the device itself, which are detrimental to the performance of electronics. Second, its shape, strength and resonance-damping abilities provide a perfect platform on which to place other components, its stackable design saving space when using more than one IsoTek unit. In order to deliver up to 32Amps continuously, the Super Titan incorporates silver-plated 32A locking Neutrik input and output sockets. To ensure optimum results, IsoTek has also designed a unique 32A power cable called Intense, developed especially for the Super Titan — no other power conditioner brand can boast such attention to detail. No matter how powerful the amplifier, however current-hungry it may be, Super Titan delivers a super-clean, ultra-consistent supply of electricity without limitation, ensuring the world's best amplifiers perform to their full potential every time. The IsoTek Super Titan is available from April in a choice of black or natural aluminium, priced at £5,995. The second component in IsoTek's new Ultra Reference Series — a multiple regeneration system — will be available later this year.